Hey! Things should be back to normal with everyday posting now. My mom has gone back home, and we are working toward normalcy again. I have so much to catch up on around the house, plus I have co-op to prepare for. I’m teaching knitting to the middle grades. Eek! 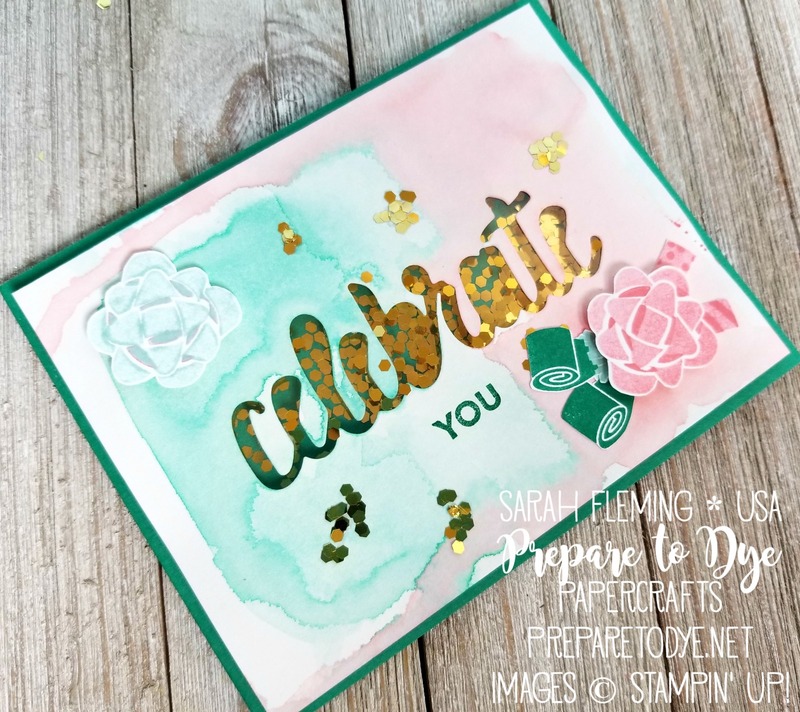 For this week’s Facebook Live, I made a fun shaker card using the Celebrate You thinlits (FREE with a $100 purchase during Sale-A-Bration!). 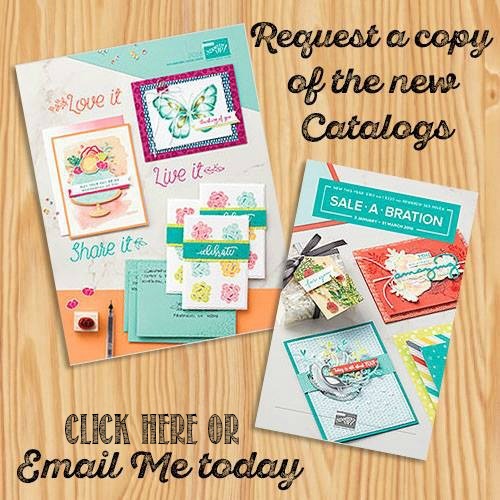 I also used Picture Perfect Birthday and the Amazing You stamp set (FREE with a $50 purchase during Sale-A-Bration). Check out those Gold Glitter Flakes! 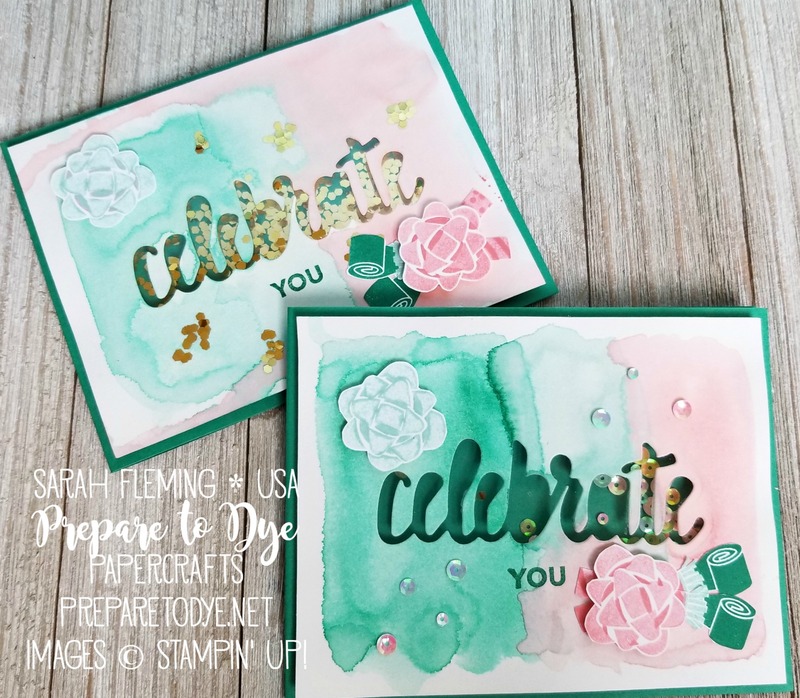 Watch the video below to see how I made the card. Then tune in next Tuesday at 2 pm (new day and time while co-op is in session).